…are just a few of the things that community leaders think about every day. 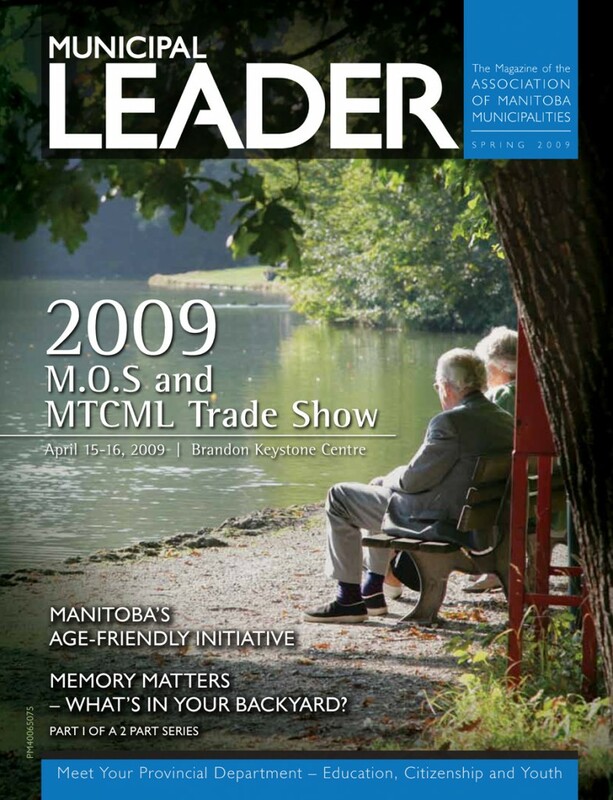 We’ve also included a sneak peak of this year’s Municipal Officials Seminar (MOS) and MTCML Trade Show. With a full slate of policy and professional development sessions covering a broad range of topics along with Manitoba’s largest one-day municipal trade show, it is the place to be in mid-April. Finally, in case you’ve wondered what the AMM has been up to lately, “The Lobbying Process” thoroughly explains our monthly activities while Candid Camera offers a pictorial recap of the first quarter.